Wisdom, where and when it can be found, is a much more heightened state of awareness than Greco-Roman logical thinking which is heavily focused on reaction and judgement. Wisdom is metacognition. Metacognition is the highest state of awareness. It’s actually thinking about thinking. Or being aware that one is aware. Metacognition is being aware of one’s thinking and directing one’s thinking in a deliberate and strategic way. 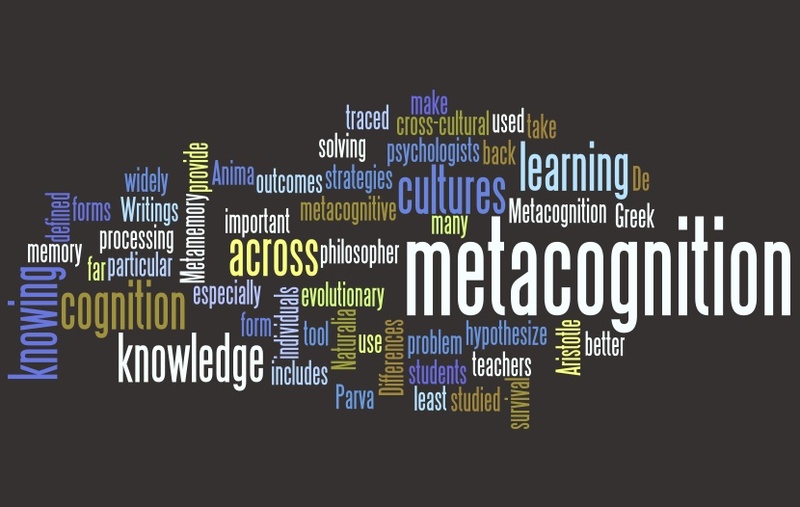 Starting on May Day, the first of May 2012, School of Thinking began celebrating Metacognition Month. I’m going to Rome via Doha this year. I’ve never been to Qatar before and I’m very interested to visit. One hears so many interesting things about Doha. Anyway, when I was in Rome, this time last year, I wanted to acquire a new grey Borsalino to replace the one I had just lost. That morning I’d got up early for a walk and climbed the Spanish Steps to gaze back at the stunning laser fanfare of sunrise over the cupolas of the Eternal City. 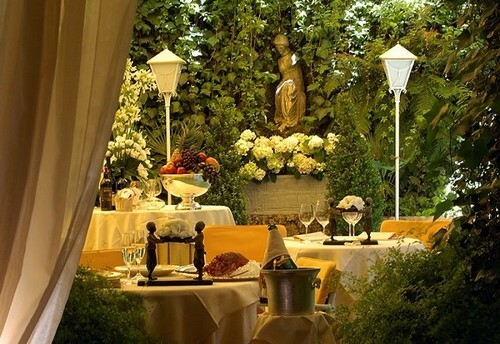 Then, early breakfast in the Palm Court at the Hassler has been a long-standing tradition for me on my Roman holidays so I chose my strategic table, laid out my International Tribune and sipped my tea. An hour later, fully restored, I stepped out and headed towards Piazza del Populo now on my important mission for the morning. I was going to get my hat. I found my way to the elegant boutique. After introductions I carefully examined the shelves of exquisite chapeaux and tried on 4 or 5 of the famous felt fedoras. O me miserum! The one I really wanted was not my size and the one that fit me was not the one I desired. Disappointed. 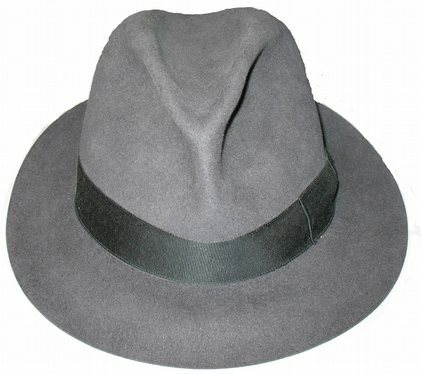 I missed out on that trip but I’ll be back late in June and this time I’m determined not to leave Rome without my grey felt Borsalino. My mentor, Professor George Gallup, was acknowledged worldwide as one of the greatest leaders of change. George was also a wonderful American gentleman and a very nice man. He was 84 when he died at his place in Switzerland in 1984. He encouraged me personally and generously supported SOT by saying that he thought our work in teaching people to think, “may be the most important thing going on in the world”. Grey (Gray: US) Hat Thinking is the wisdom that emerges from the hard won, labour-intensive experience gained from having to solve life’s wide range of random and unexpected problems and having survived through multi-changing environments over several generations and for an extended period of time. These people had to be repositories of more complicated inductive learning that included information about rare events —in a narrow evolutionary sense they can be deemed be useless since they are past their procreative age, so they have to offer some antidote to the turkey problem and prevent the less experienced members of the tribe from being suckers. In fact the elders can scare us with a story — which is why we become overexcited when we think of a specific Black Swan. In the US a person who is often admired for both her philanthropy and her own brand of wisdom is Oprah Gail Winfrey. She has claimed, “Books were my pass to personal freedom. I learned to read at age three, and soon discovered there was a whole world to conquer that went beyond our farm in Mississippi”. Oprah’s Angel Network has raised more than $51,000,000 for the underprivileged around the world. Behind the scenes Winfrey personally donates more of her own money to charity than any other show-business celebrity in America. In 2005 she became the first black person listed by Business Week as one of America’s top 50 most generous philanthropists, having given an estimated $303 million. Winfrey has also invested $40 million establishing the Oprah Winfrey Leadership Academy for Girls near Johannesburg, South Africa. The school opened in January 2007. Nelson Mandela praised Winfrey for overcoming her own disadvantaged youth to become a benefactor for others and for investing in the future of South Africa. A Guardian article entitled The Wisdom of Oprah says: The beauty of Oprah’s story is that it is simple, inexpensive things – being taught to read by her grandmother and, later, her father’s discipline and his emphasis on her education – which gave her the tools she needed to become much more than just another statistic. That in itself is inspiring. Even though we may not be able to teach children to do Grey Hat Thinking we can still raise their consciousness and teach them to understand what it is–to recognise it–to appreciate it, to consult it, and to seek it our wherever it can be found. NOTE: If you have any suggestions or comments on this topic, please post your ideas below. At a leadership convention in Melbourne I was asked to add one more cap to the original 6 thinking caps developed by SOT in 1983. I have designed the 7th Cap for Wisdom which is the Grey Thinking Cap. Of all the Thinking Caps–White, Black, Yellow, Red, Green, Blue–the Grey Cap is also the Senior Cap. Life in the big Southern city! Last night I was invited to a Public Lecture at Melbourne Uni. Since I’ve recently moved into downtown Melbourne’s CBD I went along. It was in a stylish and modern lecture theatre in The Spot in the School of Economics and it was just a pleasant 5-minute stroll from my new apartment. This Dean’s Lecture was by visiting Nobel Judge, Professor Erling Norrby MD PhD, who was Professor of Virology and Chairman at the Royal Karolinska Institute for 25 years. Professor Norrby was deeply involved in judging Nobel prizes in Physiology and Medicine for 20 years. He’s currently Vice-Chairman of the Board of the J Craig Venter Institute and Lord Chamberlain-in-Waiting at the Royal Swedish Court. He showed us how they decided who was ‘prize-worthy’ and it was a real eye-opener. They are not only rigorous in Sweden but also very clever. I got some useful tips for the future development of our own award for the Australian Thinker of the Year. In particular he explained the spectacular advances in immunology following the 1960 Nobel Prize in Physiology and Medicine to Sir Macfarlane Burnet and Peter Medawar and the achievements in the global control of infectious diseases was also discussed. He described Burnet as one of the great ‘scientific giants’ since the prize began in 1901. The evening also honoured Australian “Mr Measles”, Emeritus Professor Derek Denton, who was there with his wife Dame Margaret Scott. His work is ridding the world of measles and so he’s saving a million babies a year. (How come we all know about Paris Hilton but we don’t know about this guy? I think the media needs to lift its game and get some perspective). The evening was a science name-dropper’s paradise. All the biggies were there. I was able to present my guest to Professor Roger Short FRS, one of my science heroes and Nobel Laureate Peter Doherty; Prof Suzanne Cory, Pres of the Australian Academy of Science; and many of the big names in Australian Science. Then we all stood for the entrance of the Victorian viceroy. Sundry luminaries like former Prime Minister, The Hon Malcolm Fraser and Science Minister The Hon Barry Jones were there, too, with a tribe of faculty and students from across the campus. Have I left anyone out? After the mandatory post-lecture sherry and cheese we hopped on the tram for a couple of stops to our favourite little home-cooking cucina in Carlton for some pasta, cotolletta, panna cotta and grappa. I was home and watching telly in bed by 9. What’s not to love about life in Melbourne’s CBD!